Go Set a Watchman by Harper Lee (author of To Kill a Mockingbird) was actually written before the brilliant novel To Kill a Mockingbird (TKAMB) but was left unpublished until now. Beginning reading this book I tried to keep an open mind (despite everything that has been written about it so far). 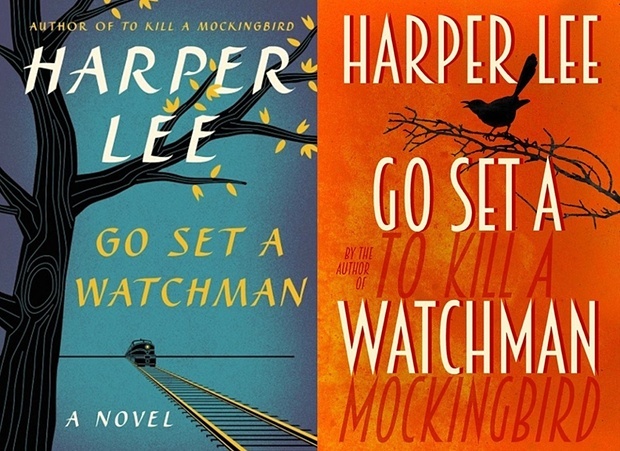 Go Set a Watchman is set in the future from To Kill a Mockingbird, with a 26 year old, Jean Louise Finch returning home to her family. This novel allows you to get to know more about old characters, including Jean Louise’s Aunt Alexandra. At the same time we are introduced to new characters including Henry. The book sees Jean Louise’s transition from childhood to adulthood. This is reflected in the loss of her childhood nickname ‘Scout’, which is only used minimally by old characters we’d been previously acquainted with in To Kill a Mockingbird. Despite her leap into adulthood, Jean Louise is still the same girl we knew in TKAMB, defiant (particularly towards her Aunt) and of course funny. Much like To Kill a Mockingbird, Go Set a Watchman tackles the issue of race, however it is looked at in a very different way, the complete opposite to the light and childish way race is examined in TKAMB. As well as looking at the future for Jean Louise and her family, the book contains a lot of flashbacks to her childhood memories, some of which are truly funny and endearing moments that really show her personality. Although this novel could never be as good as the iconic and much loved To Kill a Mockingbird, for anyone who wanted to know what became of Jean Louise Finch, Go Set a Watchman can now fill that gap. To read or not to read? Do it, make up your own mind!